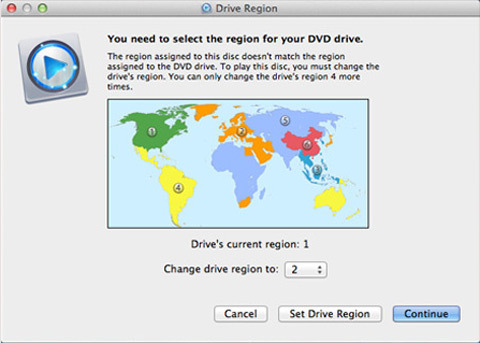 Usually, the regional code of the DVD we plays is coordinated with the region you have set before. 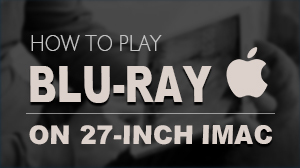 But sometimes, we buy some DVDs which belong to the other regions. 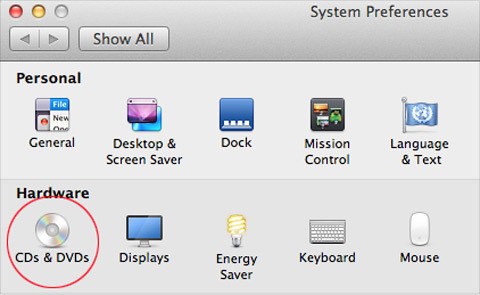 At this time, if you put the DVD into the drive of Mac computer, both the default DVD player and Mac Blu-ray player will not run the DVD and it will be ejected. 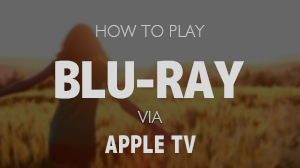 After a few seconds of loading, the Mac Blu-ray Player will run and the "Drive Region" dialogue will pop up. 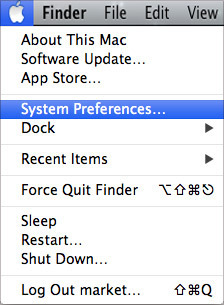 There are three options: "Cancel" "Set Drive Region" and "Continue". 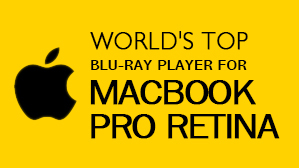 If you choose "Cancel", the Mac Blu-ray Player will close and the video DVD will be ejected. If you choose "Set Drive Region" then you can turn into the region resetting dialogue. Here you should notice that there are only five time for region resetting.